January 14th, 2019 – Seinfeld has been added to the list of shows that may not hold up quite as well in today’s more politically correct environment. A flurry of articles and videos have put the show on blast for jokes that were offensive and oftentimes targeted a marginalized group. Even with 5,932 new original Netflix shows to dissect, people have turned their attention to the hit NBC show from the 90s. 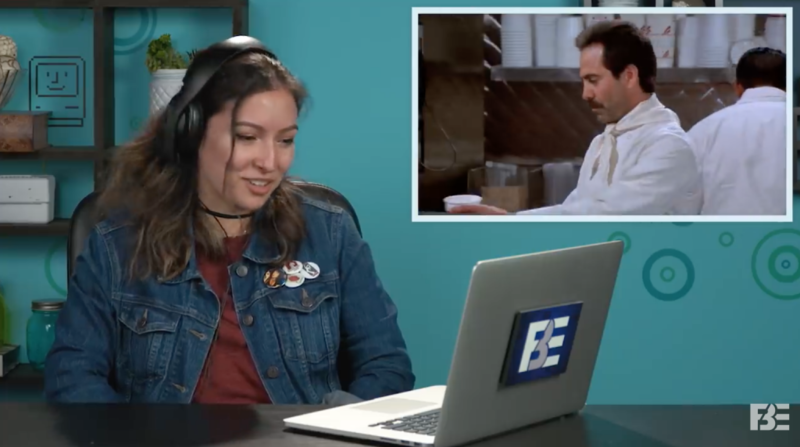 Sitcoms of old have been put under the microscope for years, (we’ve even examined The Jeffersons, Good Times, and Married With Children), but the focus on millennials’ perspective on Seinfeld seems to have gained traction with a video from FBE (Fine Brothers Entertainment) last fall. In a video titled “Do Teens & College Kids Think Seinfeld Is Funny? Does It Hold Up?,” they gathered eight young people of different races and genders who had never before seen the classic. While watching a sampling of episodes, including “The Merv Griffin Show,” “The Soup Nazi,” “The Cigar Store Indian,” “The Contest,” and “The Hamptons” they all had a lot to say. “Twitter would explode,” one viewer said. “If we saw that on TV today, people would be like ‘you better believe that every single person who worked on the show would probably be fired,'” another added. Although these were only eight young people’s views, the deluge of “Millennials Don’t Find Seinfeld Funny” hit the Internet. Media organizations such as Bustle, Inside Edition, 22 Words, Salon, and The Daily Wire have run pieces on how much the times have changed and how older shows don’t hold up because they didn’t sensitively address social issues. “Thanks to more modern understandings of what political correctness entails — and why being PC is important — it’s less common these days to find jokes like the offensive ones that often played out on Seinfeld.,” Angelica Florio of Bustle wrote. “So after all the recent political movements, and after all the changes in the societal structure, it’s not at all surprising that the old popular culture, which rarely addressed social issues, now seems offensive to these liberated millennials,” Ugne Rinkeviciute of 22 Words declared. What’s missed in some of the analysis, though, is that Seinfeld did tackle social issues and even got recognition for it. After “The Outing,” where a journalist mistakenly thinks Jerry and George are a couple, aired in 1993 it actually won an award from GLAAD. Articles also seem to miss some of the positive things “millennials” (again, that category ranges from 22-37 years of age) said about Seinfeld. 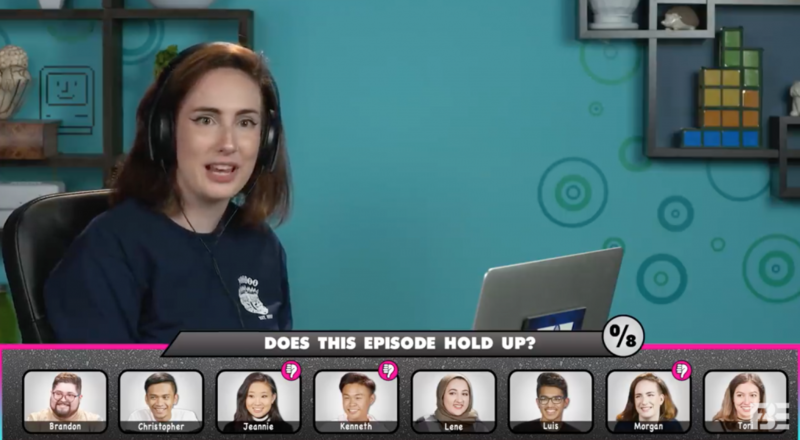 Five of the eight young people who watched “The Outing” voted that it would hold up in 2018. 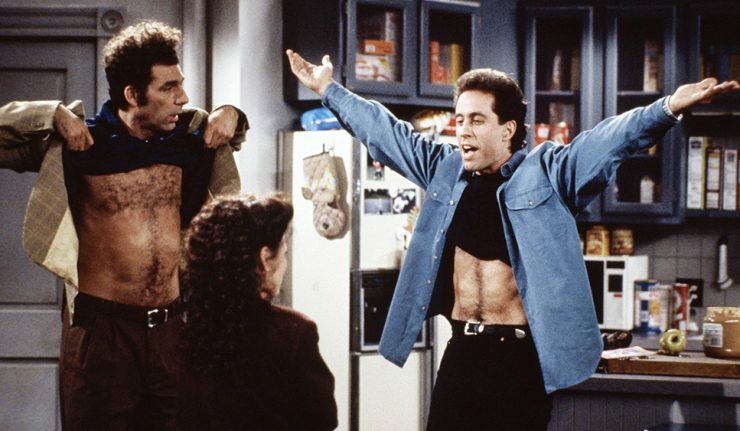 Seinfeld is in the ranks with Friends and The Office as shows that are pretty consistently put into the “wouldn’t air today” box because people say jokes that once seemed harmless are now problematic. As was noted in an opinion piece about The Office, a lot of these jokes weren’t intended to be harmless; they’re were specifically written to be a satirical lesson for other characters to call out. Comedian Tim Young agreed when he spoke to Inside Edition and said that younger audiences may be missing the point. Do you think Seinfeld would hold up in 2019? Do people often mistake intentional satire for offensive, hurtful humor?